During a field trip in search of additonal Daedalochila subclausa (Pilsbry, 1899) [Suwannee Liptooth] specimens on the corner of Imeson and Pritchard Roads (GPS: 30.22178N 081.46202W (WGS-84 Datum)) on 5/8/2010, snailer Brian Marshall discovered a population of Daedalochila auriculata at that location. During his visit Brian found a total of two living juvenile D. auriculata just southeast of the large retention pond which occupies most of the corner. This reporter visited the site the next day and found two adult D. auriculata including one living specimen. 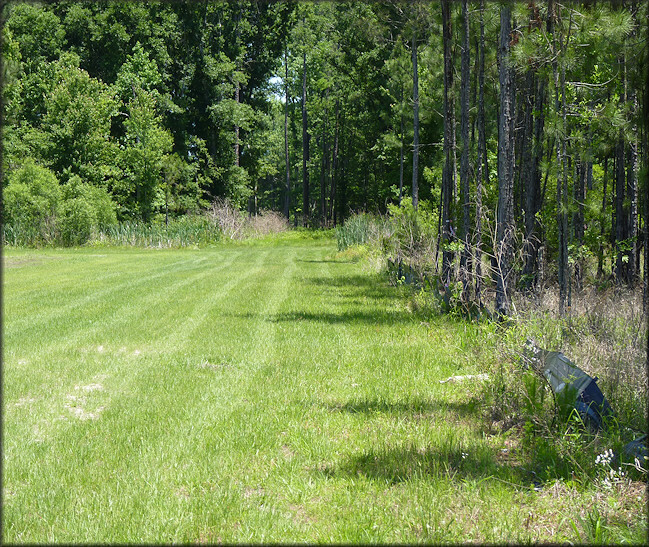 This site is about 0.5 miles north of another population of D. auriculata at Six Mile Creek on Imeson Road. Numerous additional visits to the site over the next two months failed to yield any additional specimens. Finally, during a visit on 7/7/2010, two additional living adult specimens were discovered.